You can set checkbox with “Set Checkbox” action. Using that action is kind of straightforward. 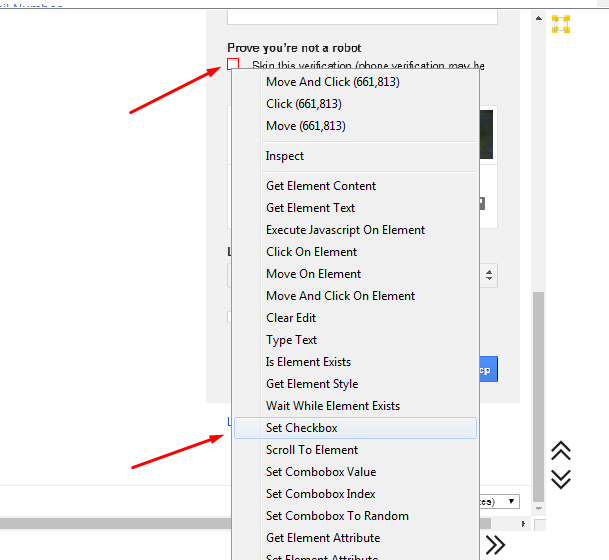 Internally “Set Checkbox” uses mouse click, same way, as How to click on buttons and links, so you can use “Move And Click On Element” action instead.